Ever since Qantas announced that they were launching new direct flight routes from London to Austalia, travel enthusiasts have been eagerly awaiting for seats to go on sale. On Thursday the airline finally opened bookings for its direct flights to Melbourne and Perth, which will operate from March 2018 on the state-of-the-art Boeing 787-9 Dreamliner aircraft. This marks first time that you can book non-stop flights from Europe to Australia, not to mention the London-Perth route will be the world's longest commercial passenger flight with a gruelling flight time of 17 hours. Year round return Economy fares for the London-Melbourne route start from £1,115 , while Premium Economy rates will kick off from £2435. Meanwhile, you can get Economy fares on the London-Perth route from £1095 , or Premium Economy seats from £2335. However, if you're in no rush to get booking, it could be worth waiting until deals season kicks off - prices are expected to drop to just under £900 for the return! There's been a lot of buzz ever since December, when Qantas first revealed that they would be launching the new route, particularly as it will operate on the Dreamliner. The jet has been optimised for passenger comfort with improved air quality, lower cabin noise and turbulence reduction technology, not to mention it uses natural light, moister air and lower cabin pressure to try and help combat jetlag. "We're conscious that this is a long flight, but not much longer than our Sydney to Dallas service. 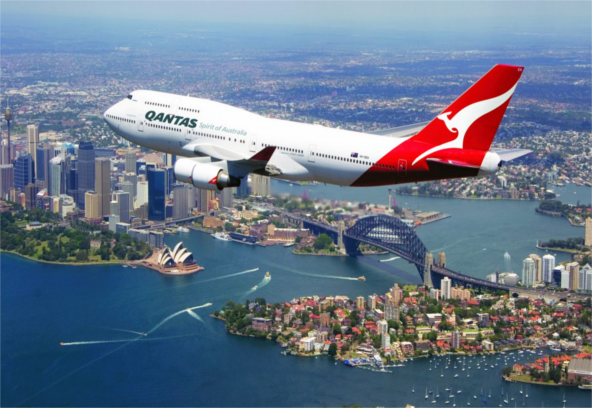 It's the kind of route that the Dreamliner was created for, because of its built-in features to reduce jetlag and improve the overall travel exprience," said Qantas Group CEO Alan Joyce. He continued: "We've added a very high level of comfort in each of the cabins and a lower seat count than most of our competitors. And we're making tweaks to our in-flight service designed to help customers enjoy the journey more." It's hoped that the journey will help to boost tourism both in the Western Australian capital and in London, as a connection to Europe.